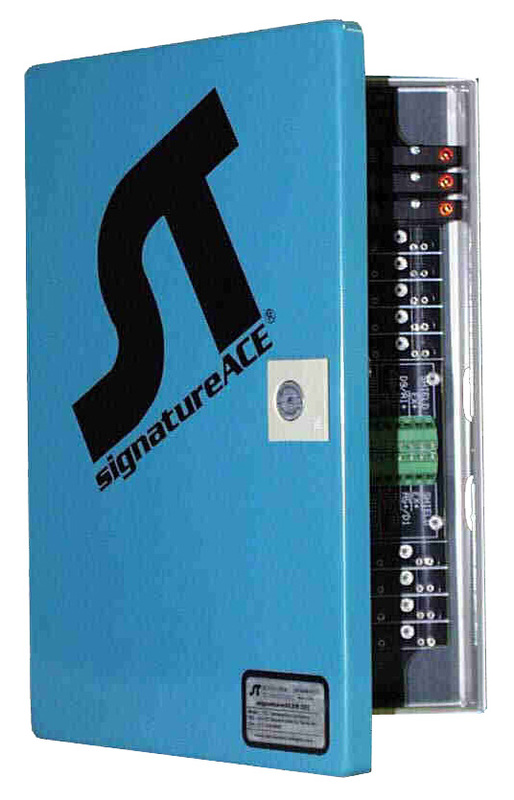 The /TEB is a NEMA 4 rated enclosure which contains the /TEC ST manufactured printed circuit assembly for use in terminating all field wiring to the signatureACE SA2000 controller. A good balance exists between small packaging and high point count considering that most applications utilize less than 25% of the available points. All I/O utilizes industry standard OPTO22 style interface modules w hich include an LED for each point and fuse protection on each output. We supply standard cables for installation in 10, 30 and custom lengths. Supports Rittal options such as key locks, latching handles, mounting options. Shipped with Rittal standard key latch. This EB1552 Rittal enclosure comes with Rittal mounting kit for bolt on without opening box. High quality pre-installed cables for connection to the TEB/TEC in lengths of 10ft. (/T10); 30ft. (/T30); and, custom lengths up to 100 feet (/T99). Cables include conduit hub installed. Pre-punched for 3/4" conduit (1 1/16" dia. hole) for all wire entry points. Shipped with plugs in all holes except ST cable entry points. 12" L x 8" W x 3.75" D. Hinged on long side. See detail below for exact dimensions or metric dimensions. Note mounting feet details when designing mounting location. 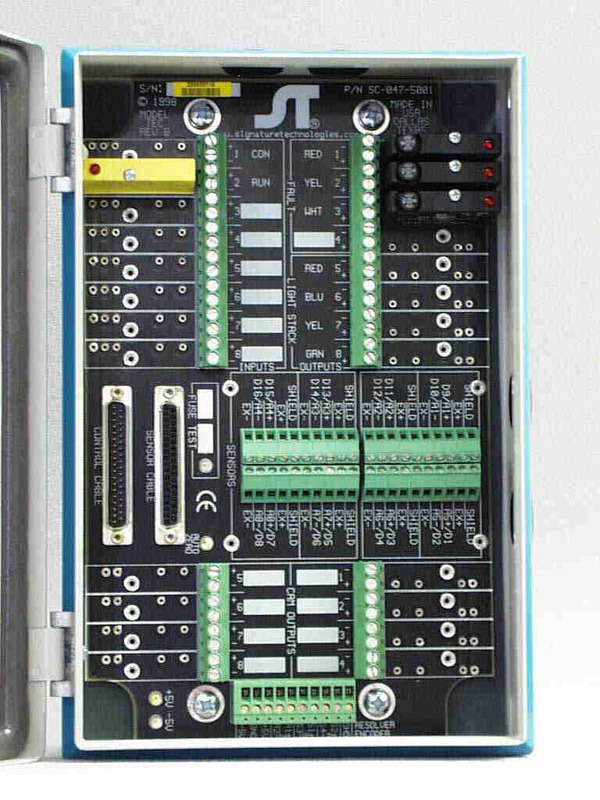 We recommend using only the /TEC board if mounting computer and /TEC in the same enclosure since the /TEB enclosure is not required. 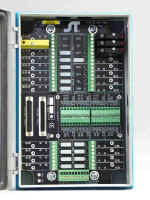 Consult with ST prior to using OPTO 22 for Die-protection applications to ensure adequate speed of outputs...higher speed outputs are available.